American Indian nations of the Great Plains and cultural groups bordering this geographic area spoke so many different languages that verbal communication between them was difficult. 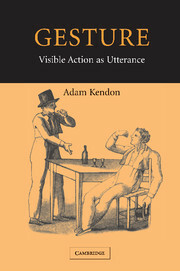 As extensive trade networks developed and political alliances became necessary, an elegant language of the hands developed that cut across spoken language barriers. 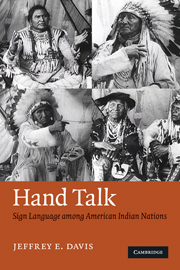 Though now endangered, this sign language continues to serve a vital role in traditional storytelling, rituals, legends, prayers, conversational narratives, and as a primary language of American Indians who are deaf. 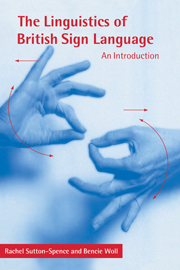 This volume contains the most current descriptions of all levels of the language from phonology to discourse, as well as comparisons with other sign languages. 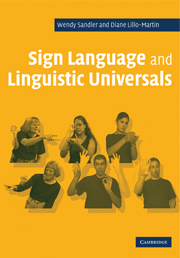 This is the first work of its kind to be produced in more than a century, and is intended for students of sign language as well as those wishing to learn more about American Indian languages and cultures. Jeffrey E. Davis is Associate Professor of Linguistics at the University of Tennessee.